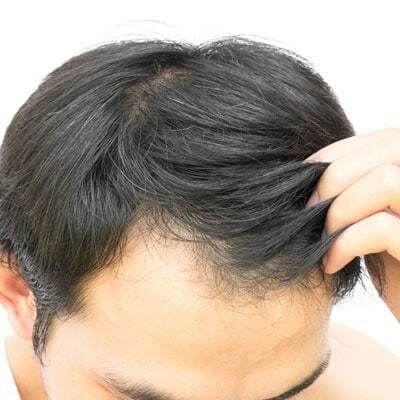 Aggressive environmental conditions and some beauty treatments may cause dry hair or a dry scalp. Perms, dyes, chlorine or seawater may be to blame, as well as a lack of hydration. Under such circumstances the sebaceous glands are unable to adequately lubricate the hair to preserve their natural softness and bounce. Sebum production may also decrease with hormonal changes during menopause or simply with age. It is important to correctly identify your hair’s needs. Not all cases of dry hair require the same care. An answer to dry hair and scalp? It’s here! Products from the Capilia Advanced Scalp Care Line are made with 100% natural ingredients such as hydrolyzed cornstarch, B5 pro-vitamins and calendula oil. Their hydrating action has been specifically developed for dry hair and scalp. Use the Capilia Advanced Scalp Care Dry Scalp Shampoo in combination with the Dry Scalp Lotion. We recommend alternating with another shampoo from Capilia’s Natural Hair Care Ritual Line or Advanced Scalp Care Line. Ask about our solutions to protect dry hair during coloring and bleaching.